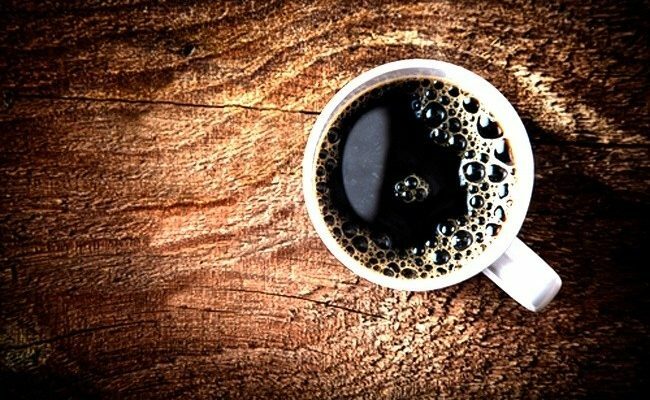 Over half of adult Americans drink coffee everyday. A typical cup of brewed coffee provides about 100 mg of caffeine, and a safe moderate dose of daily caffeine for most healthy adults can be around 400 mg. There have been some studies that have shown a benefit of drinking coffee. 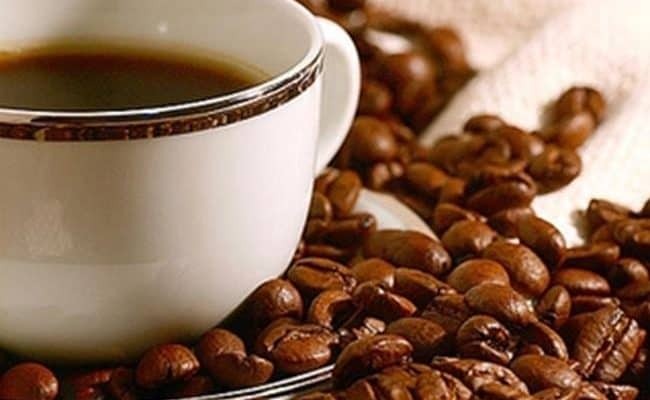 In fact, some studies have shown drinking coffee in moderation could even help lower risk of some diseases (1). However, some people are sensitive to caffeine and may need a lower intake or complete avoidance. Certain medications and health conditions, including pregnancy, can also warrant a lower caffeine intake. 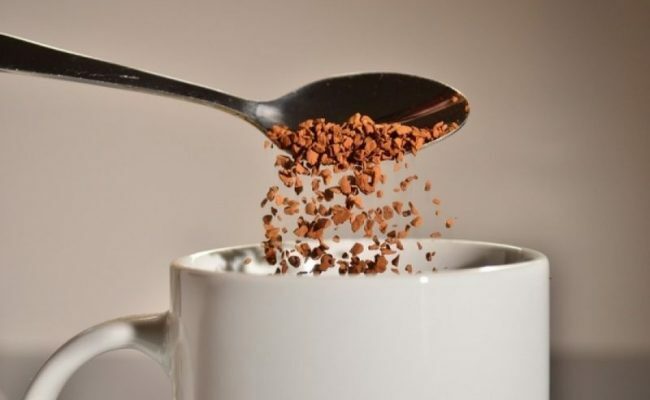 Caffeine acts as a stimulant which is why it can feel like caffeine helps give you energy. If you get too much caffeine, you could symptoms of rapid heart rate, anxiety, nausea or restlessness (2). You can also feel an energy crash after caffeine’s effect in the body has worn off, which could lead to a cycle of dependence of caffeine. If you want an alternative for caffeine to boost your energy levels in the morning, or anytime of day, you have options. Drinking coffee or getting caffeine some other way does not have to be the only way to kick start the day. Getting your heart pumping and muscles moving in the morning can be a healthy alternative to give you an energy boost. You may not feel like exercising when your alarm goes off, but after you are done exercising you will feel like you have more energy for the day. The beautiful thing with exercise is you don’t have to do only one type of exercise for a benefit. Do something you enjoy doing in the morning, and remember it doesn’t have to be complicated. You could go for a jog, walk, lift weights at the gym, do some stretches in your own home or exercise at home with a workout video. Apples don’t have caffeine, but they could provide an energy boost similar to a cup of coffee. Apples are high in antioxidants, fiber, vitamins and can help provide stable energy to your body. An important aspect of apples is they take a long time to chew with a loud crunch. This reason alone is why some health experts suggest eating an apple in the morning can help boost energy levels. Eating apples with the skin on can provide the most nutritional value. Most of the vitamin C from apples are just under the skin, and the skin also provides insoluble fiber (3). Eating apples regularly can also help lower risk for cardiovascular disease because they are high in antioxidants and fiber. For maximal benefit for helping to wake you up in the morning, chew on the apple whole. Wash apples before eating while gently scrubbing to remove most pesticide residues. Eating organic apples will have lower levels of synthetic pesticides. Depending on how much caffeine you want to cut down on, drinking tea can be an easy switch from coffee. Switching to tea can also help you gradually cut down on caffeine intake. If you drink multiple cups of coffee every day, start by substituting one cup of coffee for a cup of tea. Work your way up to only drinking tea instead of coffee. Decaf teas are lowest in caffeine. Check packaging or manufacturing information for specific levels. A trick to drastically lower any tea’s caffeine amount is to pour boiling water on loose leaf tea or the tea bag you are using. After 30 seconds of letting the water steep the tea, dump the water out. Pour water back on the tea and drink the remaining water. You drastically lower the caffeine content for any tea by removing the initial hot water that hits the tea leaves. Herbal teas are almost always caffeine free, but you should consult your healthcare team before drinking herbal tea. Some herbs can interfere with medication or health conditions. Chicory root has been used as a caffeine free coffee substitute for years, and in France chickory is often mixed with coffee (4). 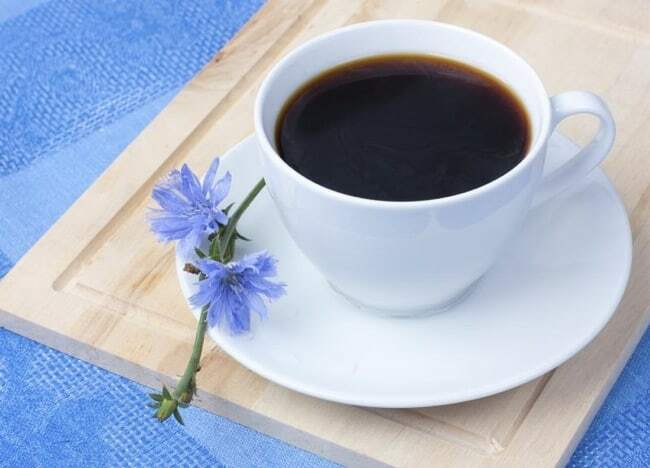 If you dread giving up the taste and habit of drinking coffee, chicory could be an alternative. Chicory root “coffee” looks like regular coffee and has some similar taste notes. While drinking brewed chicory root won’t be exactly like coffee, it is similar. Chicory root coffee can also provide antioxidants to the diet and may offer some health benefit. A 2011 study (5) found that plant phenols in chicory root coffee has anti-inflammatory and anti-thrombotic properties which could help lower risk for cardiovascular disease. A simple way to boost energy levels when cutting caffeine intake is to stay hydrated. A surprising 75% of American adults can be considered dehydrated and don’t get recommended fluid intake levels daily (6). 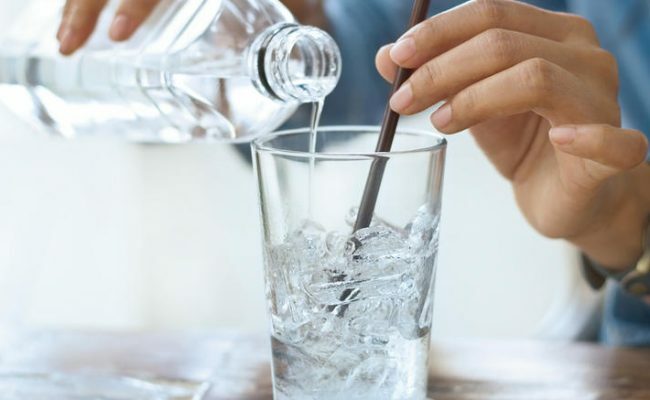 Individual factors vary, but a general recommendation for fluid intake per day is 3 liters a day for adult men and 2.2 liters a day for adult women (7). Mild dehydration can make you feel tired, lethargic, cause headaches and even influence appetite levels. Drinking more water through the day can help you feel energized without caffeine. 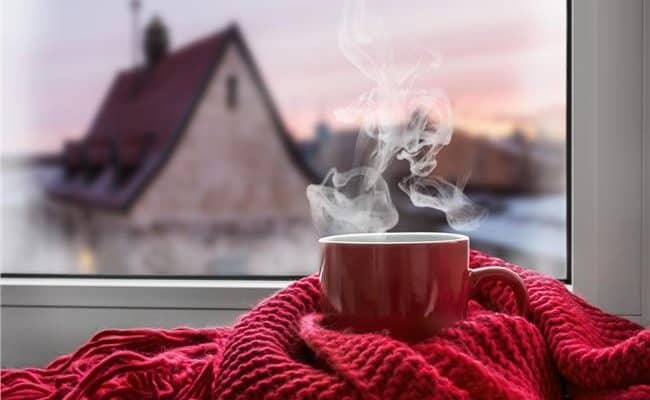 Drinking hot water with lemon could also be an option in the morning if you want something besides tea. Adding fruit, herbs or vegetables to flavor water throughout the day can add variety and drive to drink water. 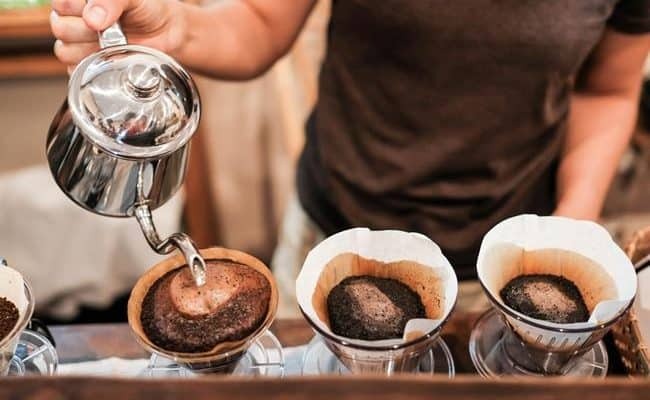 While some studies have shown an association for health benefits of drinking coffee in moderation, some people do better without any or only small amounts of caffeine. Alternatives to drinking coffee, especially in the morning, can be helpful for kick starting your day. Drinking tea, whether regular or decaf, will have less caffeine than coffee. 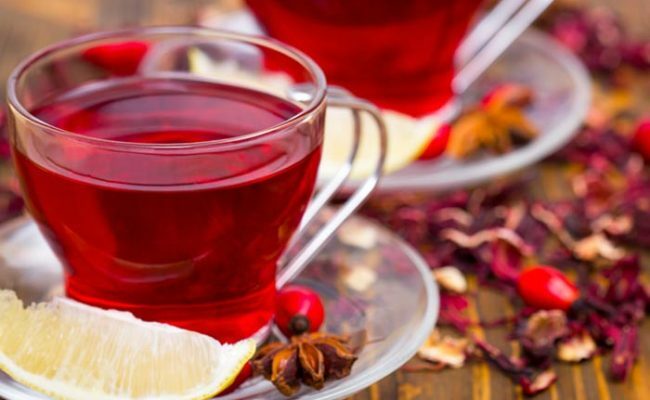 Herbal teas have virtually zero caffeine, and another trick to lower caffeine from tea is to drain off the hot water after 30 seconds that first hit the tea bag. Staying hydrated in general can help boost energy levels. Chicory root has similar taste and look of coffee, but it is free of caffeine. 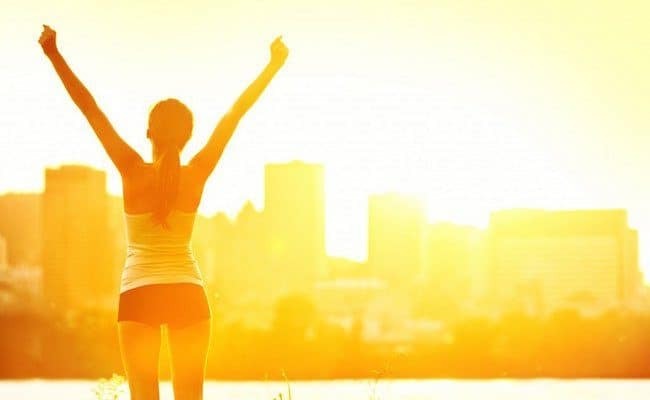 Another tip for helping your energy levels stay high in the morning is to get some sort of exercise to stimulate blood flow.